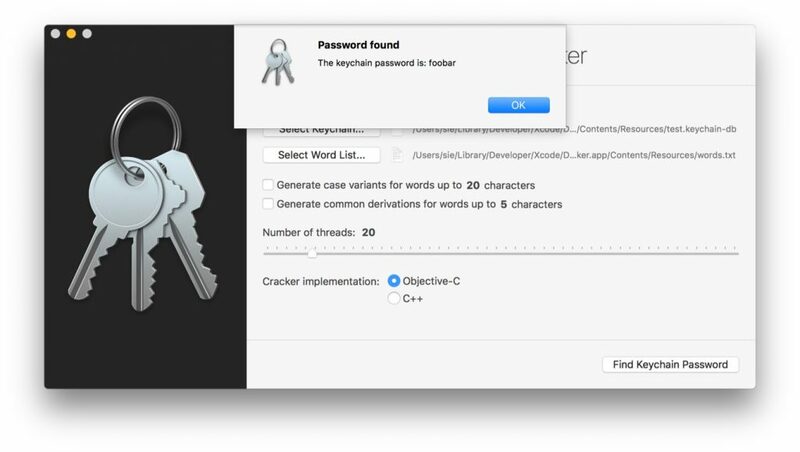 ブルートフォースアタックにより「FileVault」と「Keychain」のパスワードを特定するためのMac用ツール「FileVault/Keychain Cracker」が公開。 | AAPL Ch. I wrote this software in order to help relatives of a deceased friend to recover data from his computer. Please enjoy it responsibly, and please do not hack/harm people.